Girls and young women, do you like science? Go for it! On the occasion of the 150th anniversary of Marie Curie’s birth, the author recognizes pioneering women in physics. Photo courtesy of Nobel Foundation Archive. Boys, too, of course, but let’s make a special effort to give girls encouragement, since for so long so many have been told they couldn’t, or shouldn’t, become physicists. I had already decided that this month’s column would be about women in physics, to celebrate the 150th anniversary of Marie Curie’s birth, when it was announced that Donna Strickland shared this year’s Nobel Prize for amazing work with lasers. The chemistry prize also included a woman among the three, the maximum number of laureates. 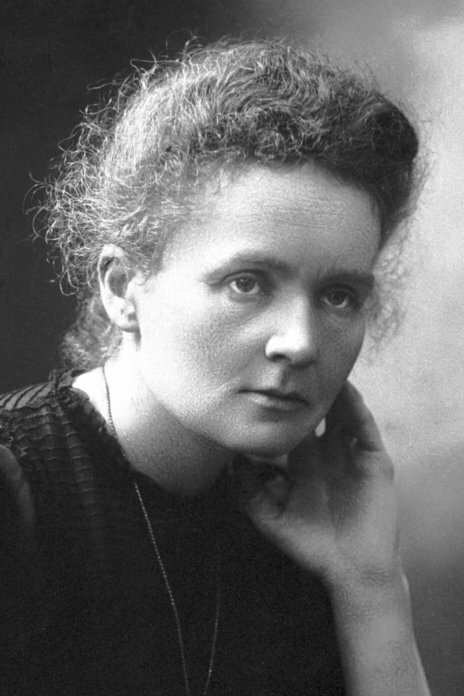 Since Marie Curie won the physics Nobel Prize in 1903, only one other woman was so honored, until now. But several women deserved it; this tells you about the male-dominated culture, not about women’s ability. Thankfully, this is now changing. Sixty years after its founding the European Organization for Nuclear Research, CERN, with over 12,000 scientists from all over the world using its particle accelerators, has its first female director general. Fabiola Gianotti played a leading role in the discovery of the Higgs boson particle in 2012, as did too many other experimenters to be awarded the Nobel; it went to three theorists who had predicted it. Unlike the peace prize, the physics prize cannot be awarded to an organization. Otherwise, CERN would deserve it for actually finding the Higgs, and Fermilab for finding the top quark in 1995, the heaviest known particle. Many deserving women physicists were not awarded the Nobel Prize. In 1938 Lisa Meitner explained some puzzling observations of Otto Hahn by realizing that a uranium nucleus could be split in two, releasing energy, when hit by a neutron. She called it fission, which is what cells do to reproduce. It led to the atom bomb and nuclear energy. Hahn got the Prize. Jocelyn Bell Burnell discovered neutron stars, but her bosses got the prize. I don’t know why Vera Rubin was not awarded the physics prize. More than anyone she was responsible for discovering dark matter in the universe by measuring the rotation of galaxies. Such stories show that counting Nobel Prizes is a flawed “figure of merit” when it comes to ability. But the wind of change is blowing. Girls, we need your talent. In any case, if you love science, or dancing or writing or anything else, do it as well as you can, and someone may pay you to do it. Go for it! This is a version of an article that originally appeared in Positively Naperville.